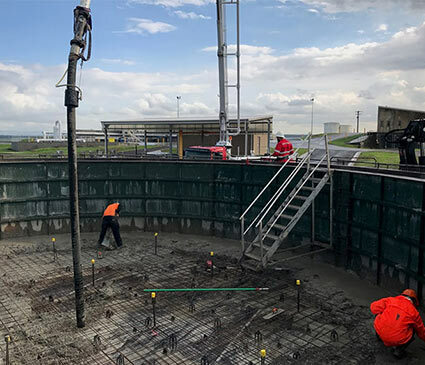 Civil - Industrial - Residential Our boom pumps service all areas of the Central Coast, extending to Sydney’s North Shore, and up to Newcastle and the Hunter Valley. 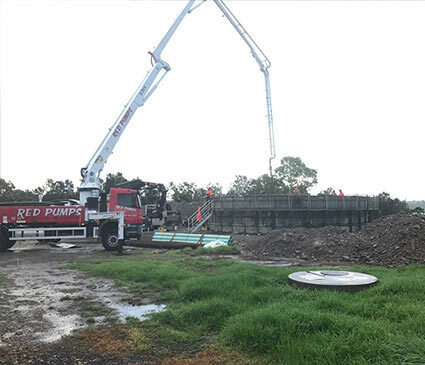 Red Pumps is a privately owned Concrete Pumping company established in 2017 in response to the growing demand for professional, efficient and high quality concrete pumping on the Central Coast Newcastle and Northern Sydney. 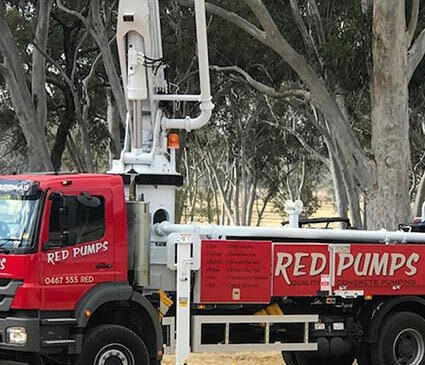 Red Pumps is based in West Gosford NSW employing a team of local operators, each with a minimum 10 years experience operating boom pumps. Our boom pumps service all areas of the Central Coast, extending to Sydney’s North Shore, and up to Newcastle and the Hunter Valley. All of our machines are WHS Compliant and registered with Workcover NSW. John Tendy Greg, just wanted to say thanks for a great job on the slabs. Nice work indeed by you and the team. Cheers! David Spools I would have no hesitation in recommending Red Pumps for anyone in need of concrete pumping. Peter Rebile We've used Greg from Red Pumps a few times over the years and it's always great service and always reliable. Donald Mason These guys offer a great service from start to finish. Really nice guys to deal with as well as knowledgable in their industry. John Silvers Greg, thank you very much for your advices and assistance in the house slab pour today. Really great service, keep up the good work! James Priceton I've used Greg's services for many years and have also recommended him to many others and he has never let me down (or them) Great to deal with.